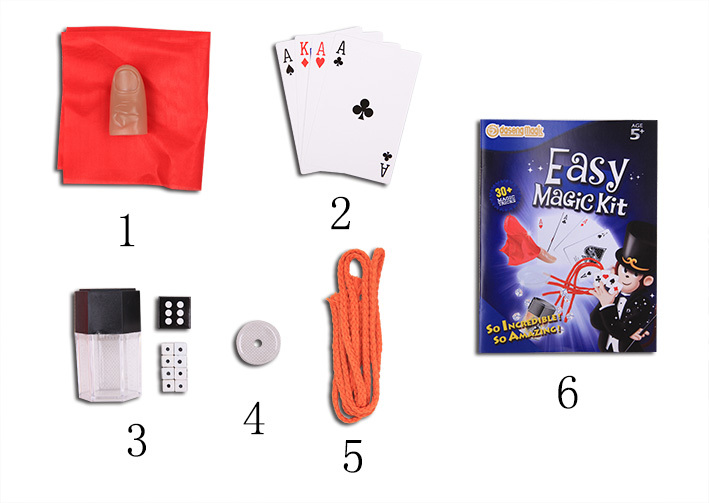 ● Easy Magic Kit contains 5 different Magic Props with more than 30 tricks and games. A guidebook is included. A hanky in magician's hand can appear and disappear as his wish. Two red Kings are shown sandwiched between two face-down cards. With a magic flourish, the two red Kings appear to magically change into two black Kings. Just when your spectator think they figure out how you did that- another magic flourishes and the Kingd change again... But this time into the four Aces. A dice explodes in the box and turns into several small ones. A soda bottle is filled with water and turned upside down. Amazingly the water remains in the bottle. Matchsticks and toothpicks can be inserted in the upside-down bottle and they can float at the top of the water. Three different length ropes change into same lengh and then back to different length as your will. Looking for ideal Mystery Magic Set Manufacturer & supplier ? We have a wide selection at great prices to help you get creative. 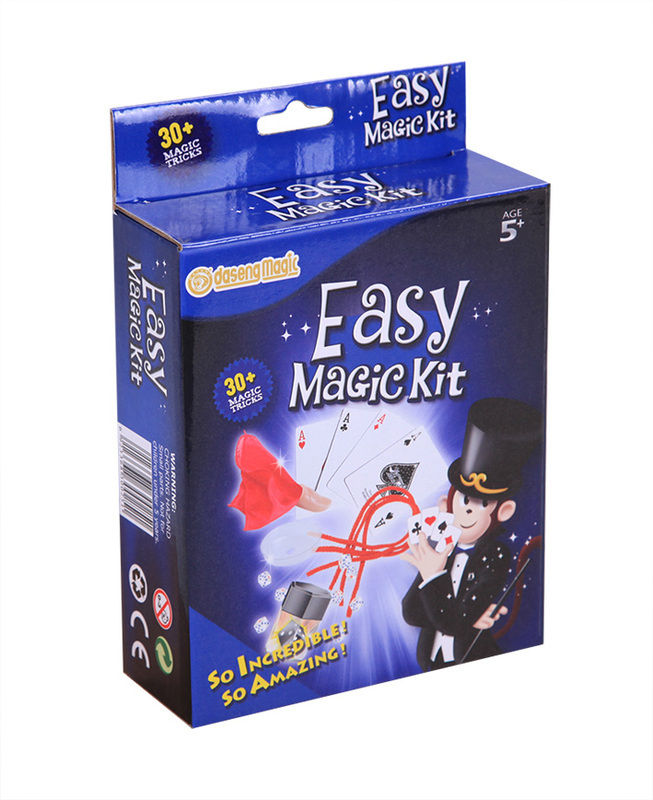 All the Magician Kits For Kids are quality guaranteed. We are China Origin Factory of Mini Magic Set. If you have any question, please feel free to contact us.